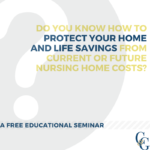 My loved one needs nursing home care How can I protect our family's assets? My loved one has passed away What should I do now? I want to plan for the future Where do I begin? My loved one has special needs How do I protect his/her financial security? Just like you, our roots are in NEPA. We are committed to helping our community and have chosen to remain here to serve our neighbors. Because we are from here, we understand the unique needs of this community. We focus on each client’s particular needs rather than providing cookie cutter advice. We know that the first step in talking to an attorney can be intimidating. There is no need to feel apprehensive about meeting with the attorneys and staff at Colbert & Grebas. We are here to help you and your loved ones. 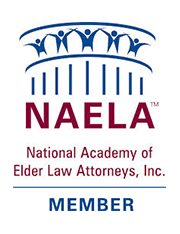 As Certified Elder Law Attorneys (CELA*), we have been recognized by the National Elder Law Foundation as having an enhanced level of skill, as well as special training, experience, and knowledge in Elder Law and Special Needs Planning. There are less than 60 attorneys in the entire Commonwealth of Pennsylvania who have this certification. The CELA* designation means that we focus our practice on elder law. In fact, we have both been practicing elder law in Northeastern Pennsylvania since 2002. Our CELA* designation means that you can rely on our expert elder law advice. To learn more about what it means to be certified in Elder Law, click here. We define our success by achieving the highest level of client satisfaction possible. We do this by explaining complex legal issues to our clients in a manner that is easily understandable. We speak “plain English” instead of legalese. Since we focus our practice on elder law, our staff understands the unique concerns and needs of our seniors and their families. Whatever your need, your request will be met with expert advice, individualized attention, and innovative solutions. 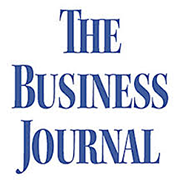 Contact us today to schedule your free initial meeting. Our staff is looking forward to speaking with you. Our attorneys provide comprehensive planning services for families and individuals with diverse needs. Schedule a consultation, and begin preparing for the future you envision.